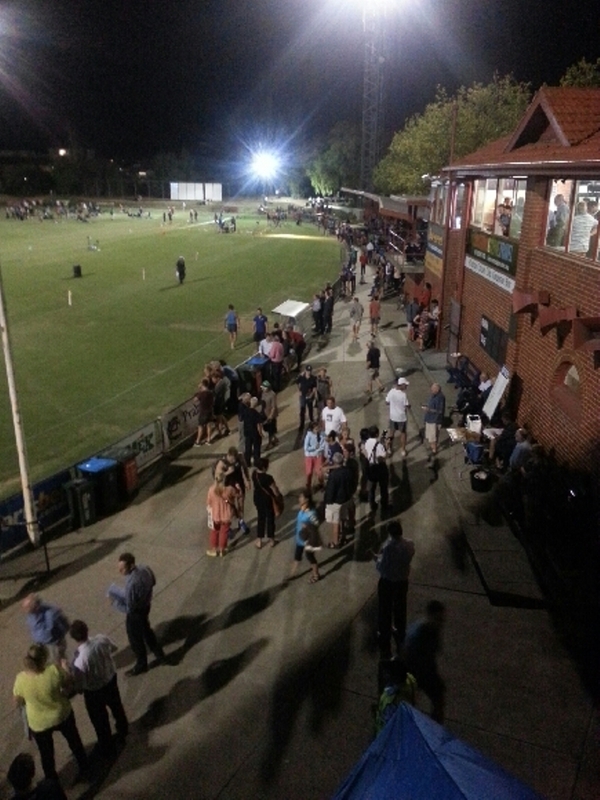 Toorak Park boasts a 15,000 people capacity (seen during the VFA haydays) and includes a 2500 seat undercover grandstand, four light towers providing lighting suitable for cricket and football, and a full electronic scoreboard which opened on 16th Feb 2013. 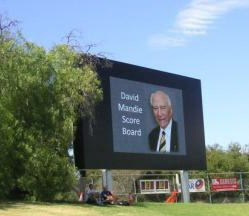 The scoreboard is named after the Prahran Cricket Club's main financial supporter, player, administrator and well known buisnessman Mr David Mandie, who sadly passed away in 2011. Toorak Park with its rolling embankments, refurbished undercover bleachers and hand made sightcreens makes it one of the premier grounds in Victoria. 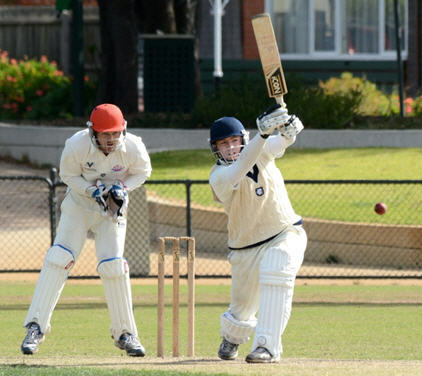 Every Saturday and Sunday during the cricket season mens and ladies teams can be found competing here in the Victorian Premier Cricket Competition, which is the stepping stone to State Cricket. Playing times are from 11am until 6pm. Toorak Park also plays host to the Stonnington Gift (pictured below) a Professional Athletics Night held under lights in February each year of which has total prize money of $40k.Both the Mens and Womens Gift are 100m sprint races and each are worth $15 in prize money to the athletes who travel far and wide to compete on the evening. Formerly known as the Prahran Gift which ceased running in the year 2000, the Stonnington Gift was brought to life in 2011 and is run by the Prahran Cricket Club and proudly supported by the East Malvern Community Bank and the City Of Stonnington and others. It is a night not to be missed on the sporting calendar! Toorak Park is located 7km from the Melbourne city centre, and is nearby some of Melbourne's most famous cafe, bar and restaraunt precincts of Chapel St (1km) and Fitzroy St (2km). Orrong Rd is easily accessed by car from the Monash Freeway (exit Toorak Rd or Burke Rd to Malvern Rd) or by the main roads of High Street (south) or Malvern Rd (north). Public transport is by train, tram and bus is within immediate proximity, allowing Toorak Park to be accessible by all. Orrong Road is a Clearway restricting parking between the hours of 8am & 9.30am to the North (traffic to the city) and 4.30pm and 6pm for south bound traffic (away from the city). Parking restrictions are enforced by tow penalties. Additional parking is available opposite Toorak Park in Sydney St, Wynnstay Rd and Harvey St, and adjacent to the ground in Fulton St, with local restrictions applicable. Orrong Rd has no restrictions on weekends and parking is available outside the ground on both sides. Sydney St, Wynnstay Rd, Harvey St and Fulton St are also available. Tram - Tram services are a unique part of Melbourne and provide excellent access to Toorak Park from the city. The number 6 Glen Iris tram (Malvern, Armadale, Prahran, St Kilda Rd, Swanston St) runs along High St, and the 72 Camberwell tram (Gardiner, Malvern, Toorak, Prahran, St Kilda Rd, Swanston St) runs along Malvern Rd, both at regular intervals. Train - Toorak Station, on the Frankston / Dandenong line, is the 4th stop departing directly from Melbourne's Flinders St Station, and is a short 5min walk from Toorak Park. Bus - A bus stop is conveniently located right outside the entrance to Toorak Park.The 220 Melbourne Bus Link service runs from Gardenvale (cnr Gardenvale & Kooyong Rds) Orrong Rd, Malvern Rd, Commercial Rd to the City Terminus (cnr Flinders La & Queen St).